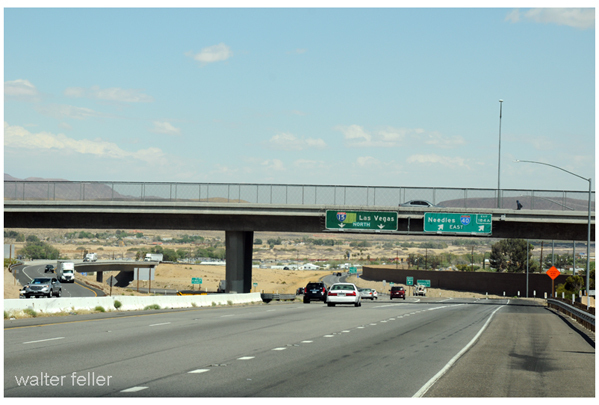 Forks of the Road, predecessor to the I-15 and I-40 freeway fork/interchange in Barstow, CA. The fork on the left heads northeast along the Old Spanish Trail toward Utah while the fork on the right finds it's way along the old Mojave Indian Trail toward Needles and the Colorado River. On April 23rd the party made a long march of 33 miles, arriving at the Junction (later Forks of the Road), the point at which the trail left the river in a northeasterly direction. The next day they continued along the river for another eight miles and encamped for the night. Upon resuming the trek, Fremont stated, "We left the river abruptly, and, turning to the north, regained in a few miles the main trail, (which had left the river sooner than ourselves) and continued our way...."
"From Camp Cady to Grapevine (Jacobi's) is about 25 miles; at 11 miles of this distance is a point called Forks of the Road, where a road to Salt Lake City branches. ..."
Forks of the Road was the junction of two major travel routes: the old Spanish or Salt Lake Trail, and the ancient Mojave River Trail. In the 1830s and 40s, the old Spanish Trail saw regular trade caravans from Santa Fe, bound for Los Angeles via Cajon Pass. The founding of Salt Lake City in 1847 and Mormon San Bernardino in 1851 brought renewed traffic, as did limited numbers of 49ers during the gold rush. 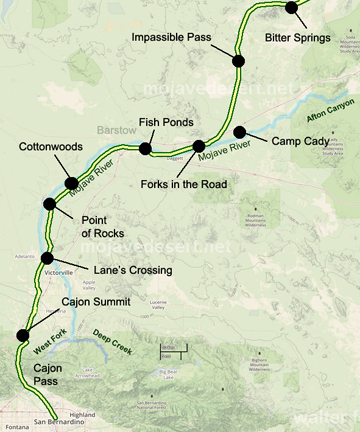 The Mojave River Trail was an ancient trade route between the Native American tribes of the Colorado River and the California coast. 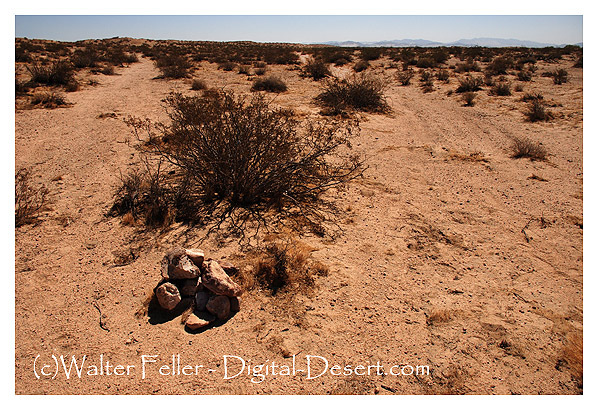 In 1859 it became the basis for a military road linking Fort Mojave in Arizona with drum barracks in Los Angeles. This is now commonly known as the Mojave Road. Never a specific spot, the forks of the road is better understood as a large braided network of individual tracks. Billy Holcomb chapter of the Ancient and Honorable order of E Clampus Vitus in cooperation with the County of San Bernardino.